You know the many benefits of drinking water in the morning. But if you add lemon juice in water then you will have 10 benefits. This drink taken in the morning will prevent the risk of cancer and improve the digestion. Immune System: By drinking lemonade immune system improves. This also increases the body power to fight against disorders. Weight Loss: This drink helps in weight loss. Lemon contains vitamin C that helps in weight loss. Some studies have found that lemon water prevents the formation of cancer cells in the body. Drinking lemonade keeps the skin healthy. It cleans the skin. Lemon contains vitamin C, which produces collagen. This is essential for a healthy and smooth skin. 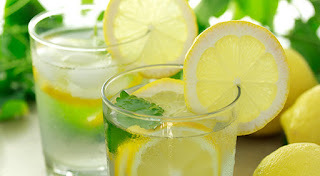 Lemon water hydrates the body so that the body does not lack water. Lemonade eliminates cough and mucus problems. The body’s waste material exists easily through lemonade. Lemonade leaves the habit of morning coffee. One do not like or feel having tea or coffee.